A peahen flies among peonies at the center of this large dish. Concentric bands of white peonies, stylized waves, a molded foliate edge, and a band of scrolling lotus emanate from the center. This magnificent plate was produced in the great ceramic town of Jingdezhen specifically for the Middle Eastern market, likely commissioned by Middle Eastern merchants who lived in China at this time and understood the ceramic needs and decorative taste of the Islamic countries. It was, for example, the custom to serve food from large plates in Islamic countries but not in China. 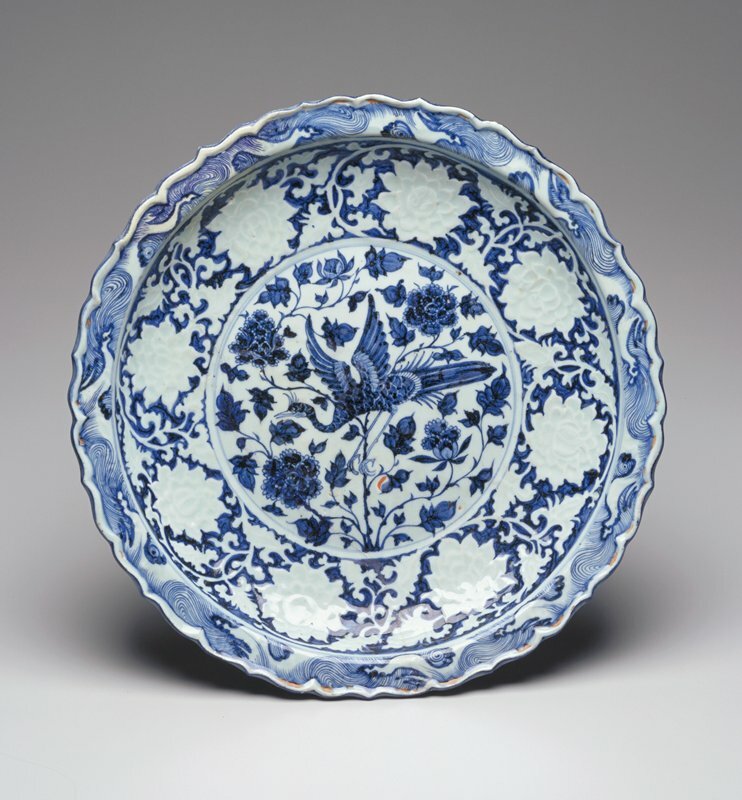 Likewise, the foliate rim and the densely painted floral decor spoke to Middle Eastern aesthetic traditions.